Summer is a time to get away from the routine of work and school and enter the classroom of real-time experience. Rockford’s Midway Village Museum, 6799 Guilford Road, will host several summer events that offer both fun and education about people and life during Rockford’s early history. 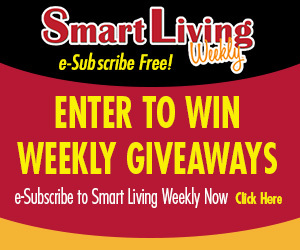 Congratulations to Catherine Crawford, of Machesney Park, this week’s Smart Living Weekly giveaway winner! Catherine takes home 2 Tickets to Klehm Arboretum & Botanic Garden’s Wood Song Music in the Garden, in Rockford. This entry was posted on Wednesday, June 6th, 2018 at 5:00 am	and is filed under Arts & Entertainment News & Events, Business News & Events, Mind & Spirit News & Events, News & Events, Smart Living Weekly, Smart Living Weekly. You can follow any responses to this entry through the RSS 2.0 feed. Both comments and pings are currently closed.